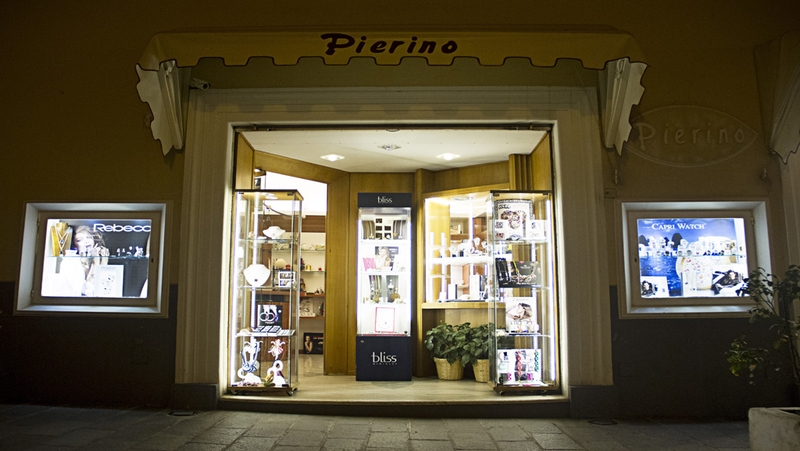 Pierino Jewelery was born in Anacapri in the 60s as a tiny goldsmiths shop, from an idea of ​​Gilda and Pietro Arcucci. Today managed by Giampiero who, with her daughter and son in law, combines thirty years' experience in the jeweler's art to the energy of the new generations. Since 60 years Pierino Jewellery carries unique and original items and offers its customers jewels symbol of the beautiful island of Capri, such as “the Capri bell charm"
The historic Pierino jewelry store located in the center of Anacapri has been producing jewels symbolizing the Blue Island for years. Like these little silver charms to give to someone as a souvenir of the time spent in Capri! The historic Pierino jeweler located in the center of Anacapri for years has been making jewels symbol of the Blue Island like the famous Bells of Capri, precious lucky charms to give to someone special!